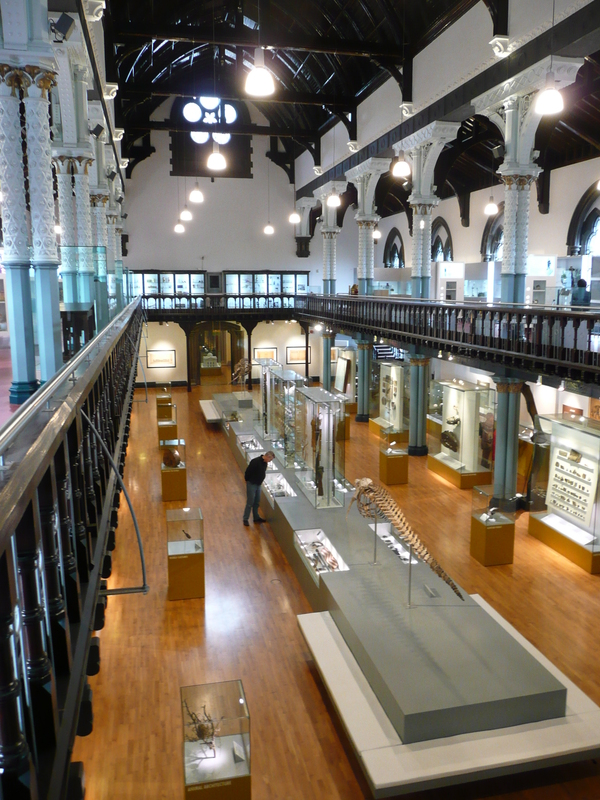 This week I also visited the Hunterian Museum at the University of Glasgow, which, for all you London people, was founded by the other Hunter. The Hunterian at the Royal College of Surgeons in London was founded on the collections of the eminent 18th century surgeon and anatomist John Hunter, and the one in Glasgow his elder brother William, also an eminent surgeon and obstetrician, and one of his little brother’s teachers. 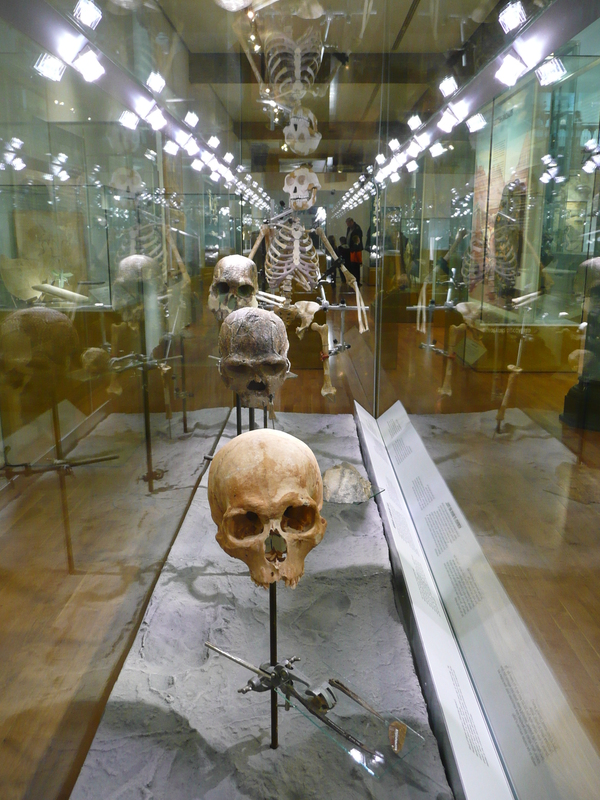 I have a deep and abiding affection for the Hunterian and its collections, having worked there last year and seen all of the wonderful things they have squirrelled away in storage. Which, until recently, included most of their Scottish Roman material. Everyone knows about Hadrian’s Wall, which was built to keep the Scots at bay because they were too much trouble, but fewer people know about the later attempt by Antoninus Pius to conquer those pesky barbarians which led to the buidling of another wall, which ran from the Clyde to the Firth of Forth and passed through the north of Glasgow, neatly providing the University of Glasgow with the finest collection of Roman material to be found in Scotland. This includes columns, gravestones, altars, coins, leatherwork, tools, weapons, pottery, jewellery, and a number of distance markers (carved stone plaques made to commemorate the completion of building a certain length of wall by a group of soldiers). Of course, the Scottish tribes proved too much of a challenge even for Antoninus Pius, and his wall was only manned for about 20 years before the Romans once more retreated south of the border, but they left some fascinating archaeology behind. 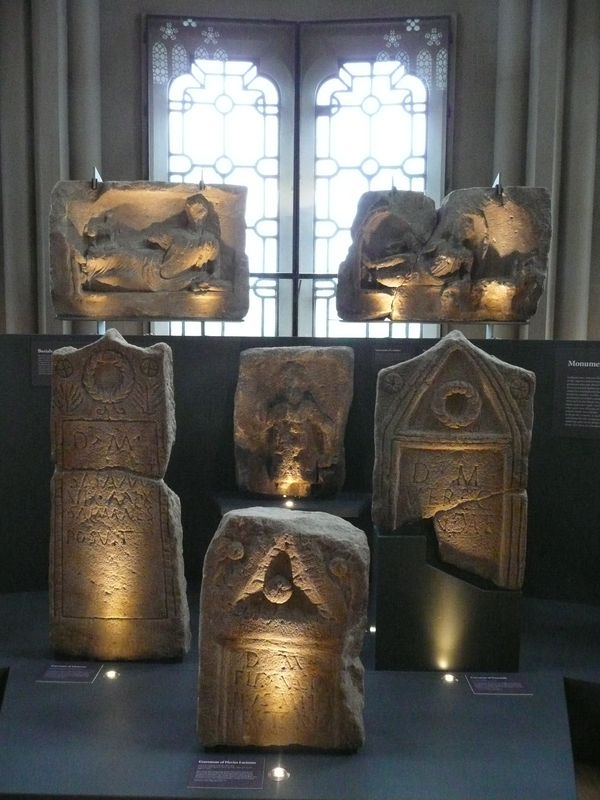 All of this you will learn about in far greater detail when you go and visit the exibition, entitled The Antonine Wall: Rome’s Final Frontier. The many pieces of stonework look amazing in their new space, and the small finds have all been arranged nicely into groups illustrating different themes. 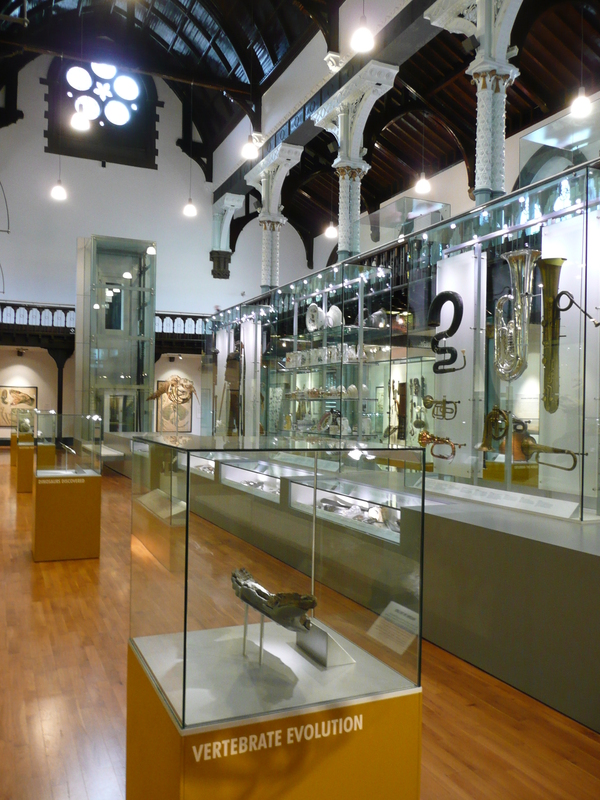 The exhibition is small, because the space available is not huge (the Hunterian is a far more petite museum than the NMS! 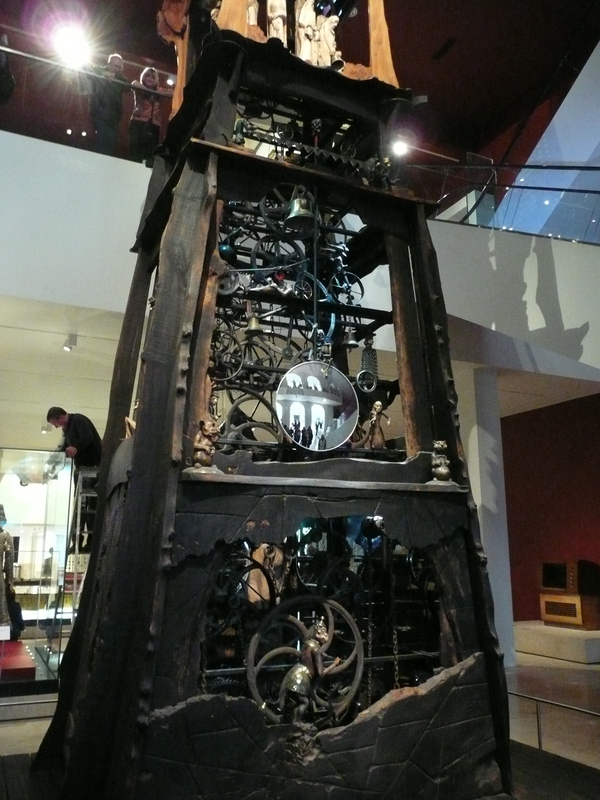 ), but it has been used very well and to great artistic effect. The only slight niggle is that some of the stones have been placed quite high where children may not be able to see them easily, and that some of the text panels are small (and coloured grey, which doesn’t always make for easy reading). But the exhibit has only very recently opened (within the last couple of weeks), and there are obviously some final touches still to be made. It is a beautiful and creative use of this wonderful historic building, and I am very excited to see these jewels of the museum’s collections on permanent display at last. And of course, there is still the rest of the museum to see as well! 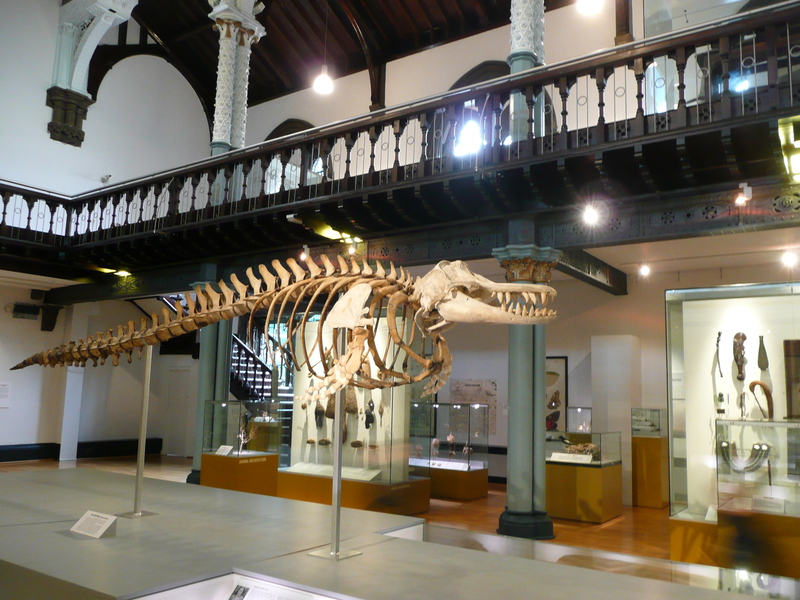 The Hunterian benefits from an incredibly varied collection (William Hunter was quite the collector! 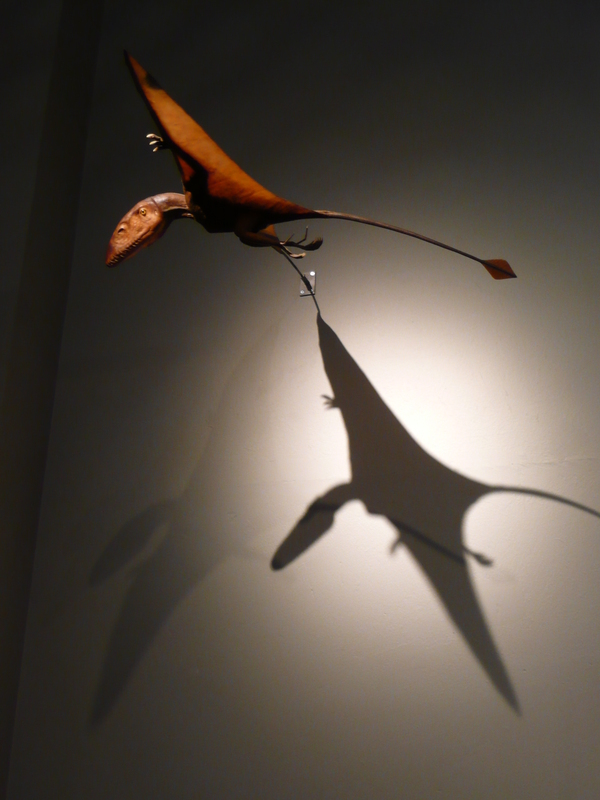 ), and it holds archaeology, ethnography, numismatic, natural history, anatomical, geological, palaeontological, and scientific collections (as well as art, housed in a gallery across the street). 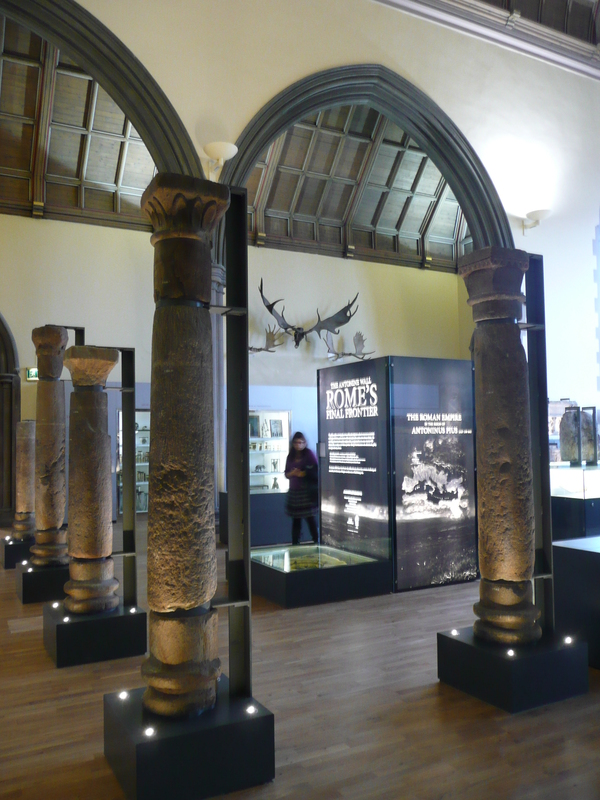 Displaying all of these very different things in a smallish space could give any exhibition designer a headache, but in the Hunterian they are all blended into a beautiful and coherent whole. 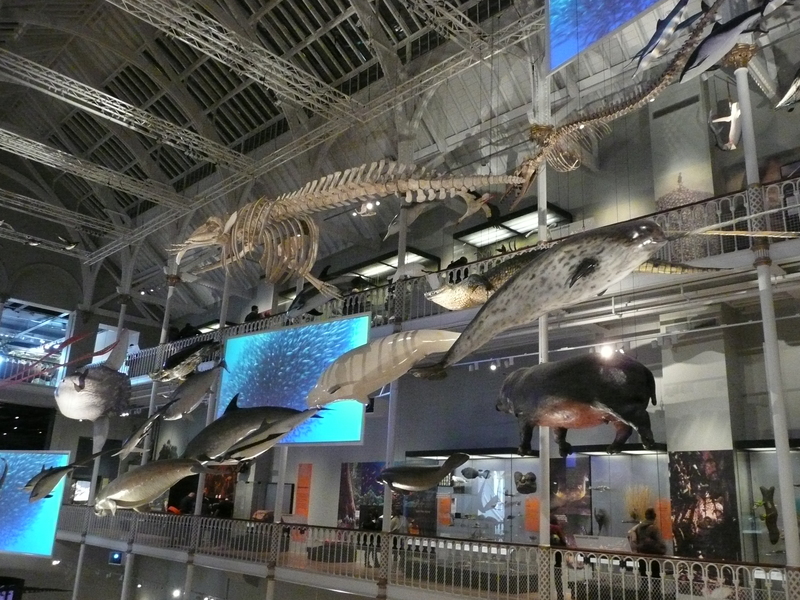 The older exhibits have also changed a little since I was last there (the whole museum was closed for several months while a new roof was fitted, and this has been used as an opportunity to reshuffle and redisplay a few areas), but they look just as splendid as ever. The Hunterian is one of the oldest museums in the UK (indeed, it claims to be the oldest public museum in Scotland, having opened its doors in 1807), and its collections are displayed in a way that is modern but also sympathetic to the antiquity of both the collections and the grand building in which they are housed. 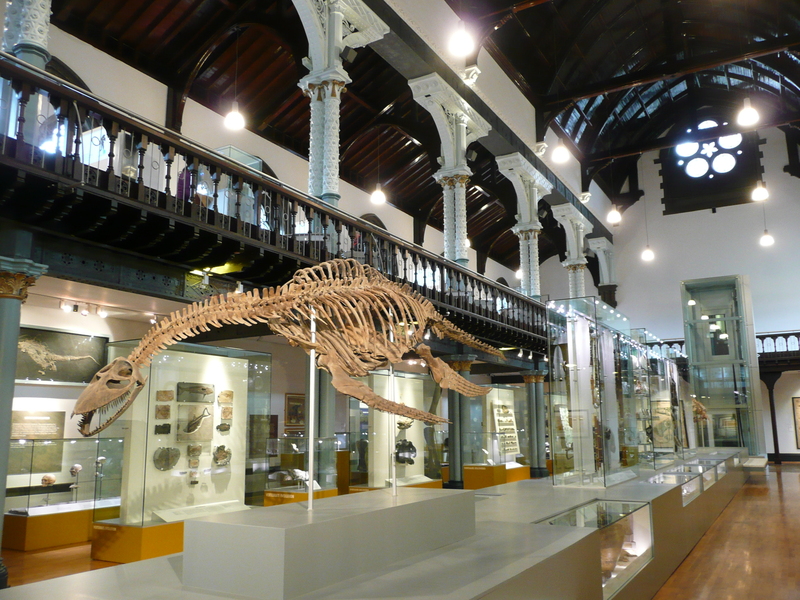 It’s a little gem tucked away inside the main Glasgow University building, and there are further gems to be found in the adjacent art gallery (including lots of Mackintosh and Whistler materials and works), and the zoology department (Graeme Kerr building), which houses its own small museum. Well, that’s enough from me for one day. Which other museums (preferably within the London area for ease of access) do you think I should visit? I welcome any and all recommendations. I’m always looking for new and interesting things to see of a weekend. So, once again it’s ages since I’ve written anything and I feel I should be apologising, but I do it every time and I’m bored now, so I won’t. 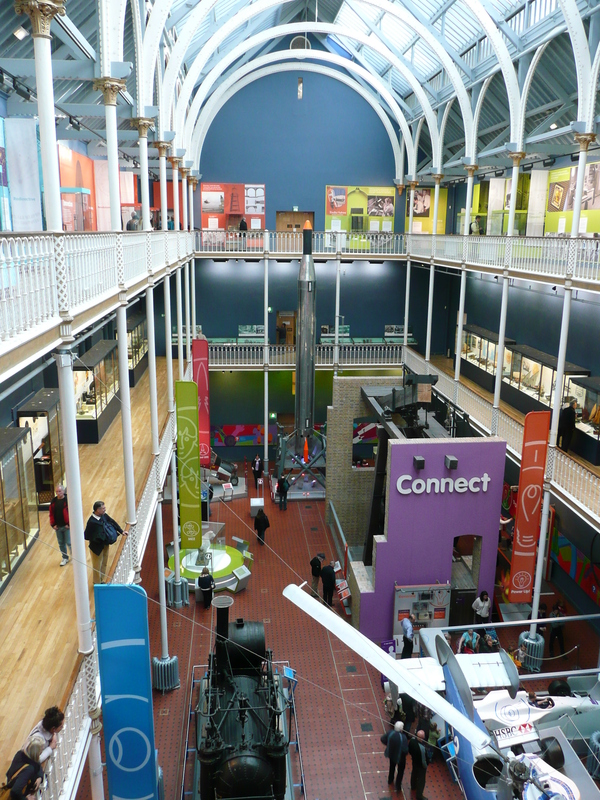 Instead, I will tell you about not one, but two lovely museums I have been to this week! You lucky people. This week I’ve been in bonny Scotland to visit friends and see the newly restored and re-opened National Museum of Scotland (NMS) in Edinburgh, and the Hunterian in Glasgow, which has recently reopened with a new permanent exhibit on the occupation of southern Scotland by the Romans (which didn’t last long!). As this post seems to have gotten rather long (and rather picture-heavy) as I’ve been writing, I will split my Scottish adventure into two posts. 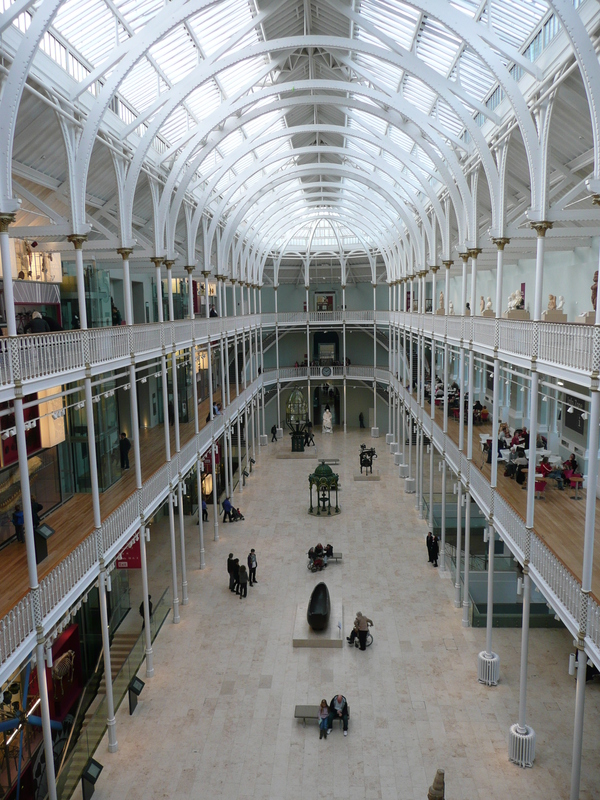 First, the National Museum of Scotland. The NMS re-opened fully in July this year after a major restoration project to turn the beautiful old Victorian part of the building, which had been used as storage space for many years, back into the impressive gallery space it was always intended to be. The new main entrance to the building takes you in at basement level, into a dark stone-walled cellar space containing a cafe and stylish shop. You then ascend via a staircase (or a lift if stairs are troublesome to you) into the grand, skylight central hall. Off this central hall are various galleries containing ethnographic, social history, natural history, egyptian, scientific, and European art collections. 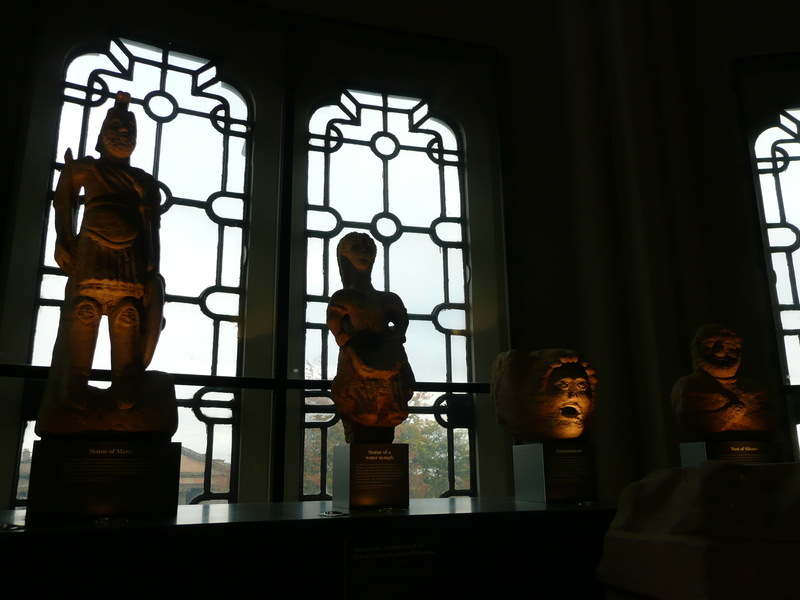 All of which are beautifully displayed (although I do worry about how long the many objects displayed on plinths with no cases or barriers will survive – a sign saying ‘please do not touch’ is practically an invitation to do just that. Especially if you’re a small child! 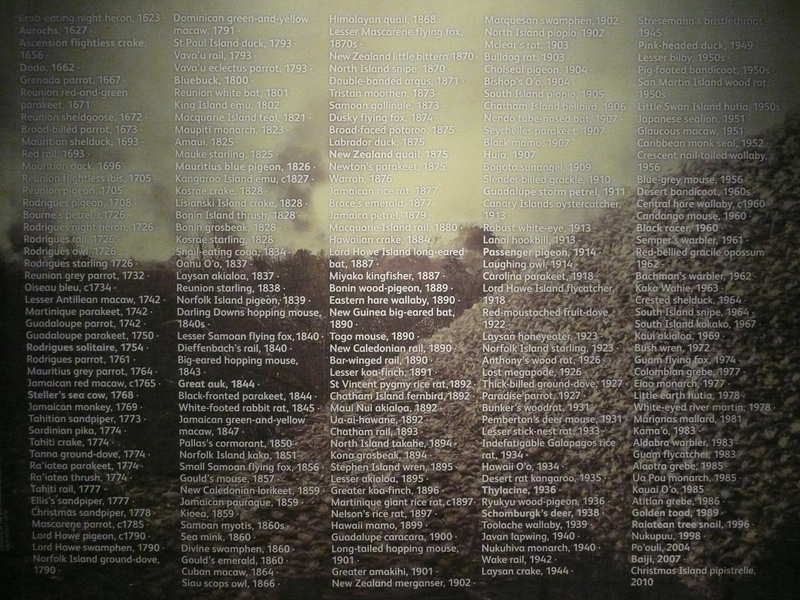 ), interestingly interpreted, and with lots of interactives to keep fickle children entertained. 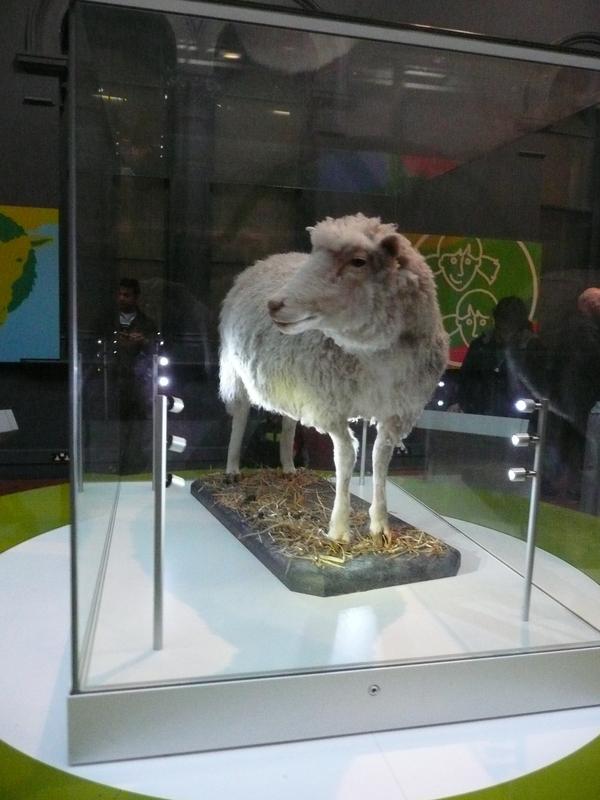 Which I’m sure some museum purists will scoff at, but it seemed to be working. I saw very few bored, complaining children! And there were a lot of children, it being half-term when I visited (poor planning on my part!). The galleries are each laid out around halls running off the main courtyard, with displays circling around the balconies on each of the three floors covering different themes. Each area of the collection is displayed differently, with the ethnographic objects laid out sparsely and artistically in a well-lit space, the European ceramics and art (mostly of a religious nature) set in a darkened, cathedral-like space in the middle of the building, the science and technology (the most hands-on, child-friendly area of the museum) brightly coloured and exciting, and the natural history exploding at you from every angle! 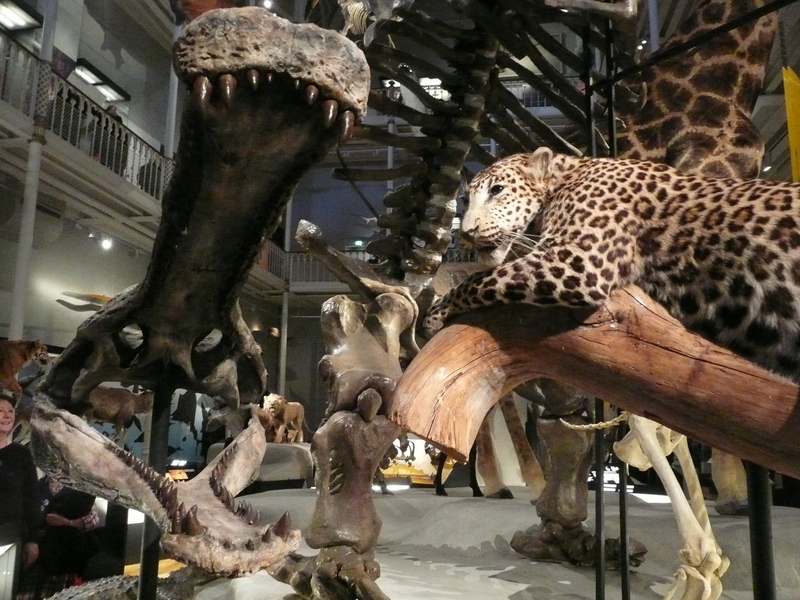 The space has been used incredibly well, and a lot of specimens have been fitted into the space without it feeling overstuffed. A particularly poignant case on one of the upper balconies contains animals that are either extinct or critically endangered due to the actions of humans, and next to it hangs an honour roll of man-made extinctions (which, sadly, is already out of date as it was announced last week that the Vietnamese subspecies of the Javan rhino is now extinct thanks to poachers). 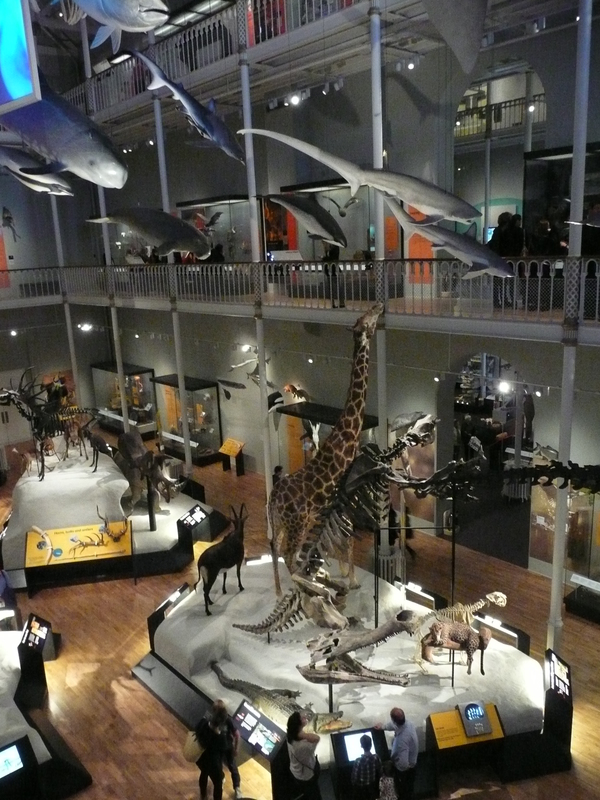 There is a lot more to see and explore at the NMS, including the older galleries containing Scottish archaeology and historic artefacts, and a large display on the evoution of Scotland which includes some wonderful fossils and yet more beautfiul taxidermy, arranged in naturalistic poses and settings in large cases akin to zoo enclosures. I will let you all go and explore it all yourself (and I strongly encourage you to do so, it’s well worth it! ), but I will leave you with a few more pictures to whet your appetites. This was a week of firsts for Friday Mystery Object: the first time it’s not been hosted on Zygoma, and the first time answers have been submitted in verse! I’m very impressed. Now, I have a confession to make: I’m a mammal person. I know a bit about birds, and very little about reptiles. But I picked this specimen because Paolo hadn’t done a reptile in a while (and I thought we’d had enough of birds lately! 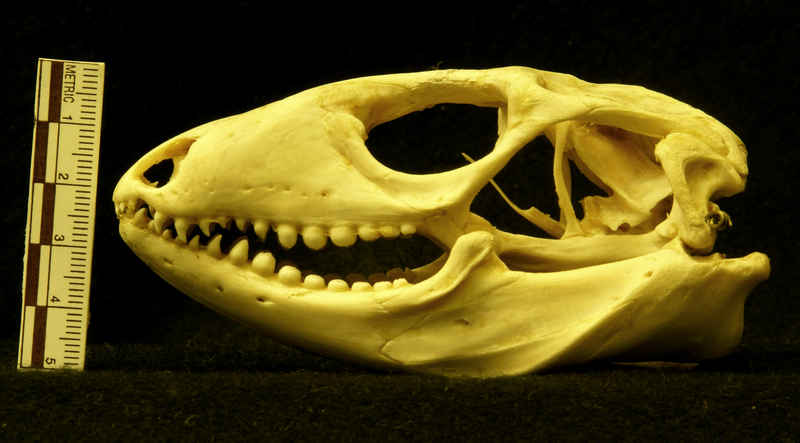 ), and it was a nice-looking skull. Naively, I assumed that because it was an exotic creature I wasn’t very familiar with, that meant it might be difficult for others to guess. How foolish. henstridgesj honed in on the correct family at 9.04am on Friday,and by 1.44pm had it down to the right genus. Others soon followed suit: Namnezia had the right common name, and Dave Godfrey got it to the correct species: the South American lizard Tupinambis teguixin (or gold tegu). Well, maybe. The taxonomy of the genus Tupinambis seems to be in a constant state of flux, and is consequently somewhat confusing. T. teguixin now refers to the Columbian gold tegu (formerly called T. nigropunctatus), but it used to refer to the Argentinian black and white tegu (now T. merianae). This taxonomic rejigging followed a re-examination of the many historic descriptions and namings of these animals by Avila-Pires in 1995¹. The skull in the Horniman’s collection is labelled as T. teguixin, but it is quite old (possibly acquired as early as the 1920s – can you remember, Paolo? ), so it could potentially be the Argentinian black and white tegu, which was then called T. teguixin, rather than the gold tegu. A little more research may be needed to confirm the identification. So I’m afraid for now the mystery remains unsolved! And on that happy note, I’ll take my leave. Thank you all for playing! Normal service will resume next week back over on Zygoma.